Ready for a home décor makeover in Cuyahoga County? Get inspired at the Bed Bath & Beyond® store near you in Brooklyn; it’s in the Park Ridge Square shopping center just off I-480 at the Ridge Road exit. When you seek storage solutions, kitchenware, dorm bedding, small appliances or home décor ideas, make this your first stop. 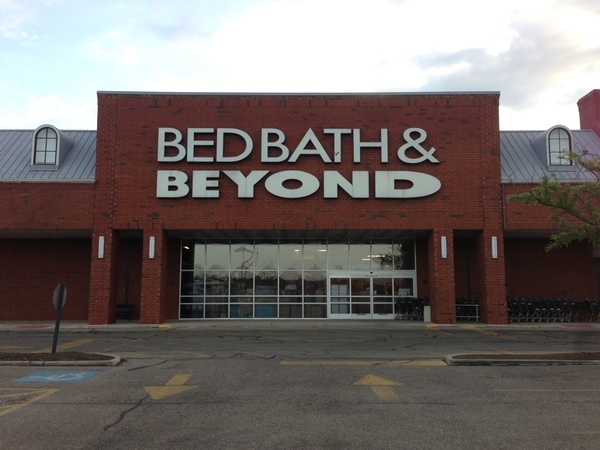 It’s so easy to shop all the brands you love and get everything you need for your home at this Bed Bath & Beyond® store located at 4766 Ridge Road Cleveland, OH 44144; (216) 635-1975. Going to college? Smart money says the college checklist and registry is the best way to get dorm essentials, coffee makers, shower curtains, bath towels and tailgating supplies; friendly and knowledgeable associates are available to assist you with your selections during store hours. Visit this store to get sheets, comforters and duvet covers; stock up on candles and cleaning supplies; browse decorative pillows, area rugs and curtains; compare closets and organization solutions; shop seasonal décor, clearance goods and so much more. In addition to housewares and home goods, this location has a nice selection of gifts; use the gift registry feature to create or shop a baby registry, housewarming registry, birthday registry, anniversary registry or custom occasion registry. Getting married? Let our experienced personal wedding consultants help you create the perfect wedding registry. New in town? Get inspired – stop in today to see the latest home décor trends.